Read articles and press releases featuring our alumni, faculty and students. Early Childhood Institute Assistant Director Linna Ettinger’s article “Setting the Table for Life” appeared in the April 15 issue of eJewish Philanthropy. Rabbinical School alums Rabbi Becky Silverstein, Rab`14 & Rabbi Avi Killip, Rab`14 were featured in the April 8 eJewish Philanthropy article “Schusterman Family Foundation Annouces 27 Outstanding Fellows For Global Leadership Program” on their selection in the next cohort of Schusterman Fellows! A story about the Arthur Vining Davis Foundation’s $250,000 grant to the Miller Center for Interreligious Learning & Leadership at Hebrew College appeared in the March 15, 2019 Religious News Service. The article “The Big Jewish Question On My Mind: Where am I Complicit in Perpetuating Bias?” by Shoolman School MJEd graduate Andrea Kasper, Head of School at Solomon Schechter Day School of Greater Hartford, was published in the Feb. 19, 2019 issue of eJewish Philanthropy. The article “Is the Autumn Ingathering Festival the Beginning, Middle, or End of the Year?” by Harvey Bock, Hebrew Language Coordinator, in the Rabbinical School was published on February 4, 2019 in TheTorah.com. An excerpt from President Sharon Cohen Anisfeld‘s Installation speech “A Sacred Mission Now” was published in the Winter/Spring 2019 issue of Lilith Magazine. Chief Academic Officer, Rabbi Michael Shire, was mentioned in the December 19, 2018 eJewish Philanthropy article “Striving for Shlemut: An Emerging Approach to Jewish Education” for his work on the Fellowship in Educating for Applied Jewish Wisdom, made possible by the support of the Lippman Kanfer Foundation for Living Torah and the William Davidson Foundation. Rabbinical School Dean Rabbi Dan Judson was the featured guest on two episodes of the podcast Judaism Unbound. The first, entitled “From Selling Dues to Temple Pews” aired on December 7, 2018. The second, entitled “Pennies from Heaven…and Building Upkeep,” aired on December 14, 2018. Rabbi Daniel Klein, Rab`10, Rabbinical School Associate Dean of Admissions & Student Life, was the guest on WBUR’s Radio Boston on December 6, 2018. He spoke about celebrating the season of miracles in the aftermath of the November 2018 tragic happening at Etz Chaim in Pittsburg. Rav-Hazzan Aliza Berger, Rab`17, Can`17 received a CJP Chai in the Hub 2019 Award. She is among 10 young adults being honored by CJP on Feb. 9, 2019 for the amazing things personally and professionally to better Greater Boston’s Jewish community. A November 29, 2018 Weston Wicked Local article featured Emily Rubin, a participant in Hebrew College’s Jewish Teen Foundation of Greater Boston (JTFGB), who earned a Rotary Award for her community work. On November 14, 2018, Rabbi Adina Allen, Rab`14, Co-Founder and Creative Director of the Jewish Studio Project (JSP) in Berkeley, CA, received the Covenant Foundation’s 2018 Pomegranate Prize, a prestigious award recognizing five rising leaders in the field of Jewish education. The cohort includes educators working in diverse settings across the country from Berkeley to Boston, each bringing fresh promise and deep commitment to continually elevating Jewish learning. Rabbinical School Rector Rabbi Arthur Green’s piece “American Jews After Pittsburg: Where do we stand?” appeared in the November 7, 2018 issue of eJewish Philanthropy. Hebrew College Chief Academic Officer Rabbi Dr. Michael Shire’s article “What Studying Text can Teach Us About Our Place in the World” appeared in the November 2, 2018 issue of eJewish Philanthropy. Rabbi Ayalon Eliach, Rab`18 co-authored the articles “Should You Get Election Day Off? This Jewish Organization Says Yes” and “Can Jewish Wisdom Help Save Democracy” in the October 23, 2018 issue of The Forward and the October 22, 2018 issue of eJewish Philanthropy respectively. The Hebrew College Presidential Installation Ceremony was featured in an October 16 Boston Globe article entitled Rabbi Sharon Cohen Anisfeld Installed as first female president of Hebrew College, an October 16, 2018 JTA News Brief article entitled Hebrew College installs its first female president, an October 16, 2018 article in The Newton Tab entitled Hebrew College in Newton Installs First Female President, and an October 18, 2018 The Jewish Journal article entitled Rabbi Sharon Cohen Anisfeld installed as president of Hebrew College. President Sharon Cohen Anisfeld is mentioned in an Oct. 8, 2018 Jewish Journal article about Harvard University’s new President Larry Bacow. The article, entitled, “Bacow bring Jewish spirit of inclusion to Harvard community,” mentions Bacow’s Hebrew College connections, including his service on the Board of Trustees, his 2004 honorary degree from the College, and his attendance at President Anisfeld’s inauguration on Oct. 15, 2018. Rabbinical School alum Rabbi David Cohen Henriquez was featured in the Oct. 4, 2018 Jewish Journal article “Being God’s hands: three faiths unite to end hunger on the North Shore. The article “The Legacy of My Jewish Education: Lessons for Today” by Paula Jacobs, graduate of Hebrew Teachers College (now Hebrew College) appeared in the Oct. 8, 2018 issue of eJewish Philanthropy. Rabbinical student Misha Clebaner‘s piece “How my (Prayer) Life Changed When I Stopped Trying to Change” appeared in the October 8, 2018 issue of eJewish Philanthropy. Rabbi Adina Allen, Rab`14, co-founder of The Jewish Studio Project, was featured in The Jerusalem Post article “Wrestling with faith” on Sept. 6, 2018. Rabbi Phil Bressler, Rab`18 was featured in a Sept. 24, 2018 article in the Corvallis Gazette & Times entitled, “A different kind of rabbi.” Bressler is the rabbi at Temple Beit Am in Corvallis, OR. Rabbi Bryan Mann, Rab`18, was featured in a Sept. 26, 2018 Tampa Bay Times article entitled “Rainbow yarmulke signals arrival of new rabbi at Brandon’s Beth Shalom.” Mann serves Congregation Beth Shalom in Brandon, FL. Rabbinical School alumnus and Parenting Through a Jewish Lens instructor Rabbi Philip Sherman‘s article “Gratitude in the Morning” was featured in the July 12, 2018 issue of JewishBoston.com. Dr. Keren McGinity’s piece “American Jewry’s #MeToo Problem: A First-Person Encounter” appeared in the July 5, 2018 issue of eJewish Philanthropy. Rabbi Dan Judson’s appointment as the new Dean of the Rabbinical School of Hebrew College was featured in the January 26, 2018 issue of The Chronicle of Higher Education and the January 5, 2018 issue of eJewish Philanthropy . Early Childhood Institute Director Rachel Raz‘s article “Another Kind of Birthright” appeared in the January 24, 2018 issue of eJewish Philanthropy. Rabbi Lev Meirowitz Nelson, Rab’13 was featured in a November 13, 2017 eJewish Philanthropy article entitled “Five Rising Jewish Educators Receive 2017 Pomegranate Prize.” Rabbi Nelson received the award from the Covenant Foundation for his work as Director of Education at T’ruah. Rabbinical School Dean Rabbi Sharon Cohen Anisfeld’s appointment as the next President of Hebrew College was featured in several publications including The Chronicle of Higher Education, eJewish Philanthropy, The Jewish Journal, The Jewish Advocate (paid subscription only), JewishBoston.com. David Cohen-Henriquez, Rab`09 was featured in The Jewish Journal’s, Manna rains on Marblehead interfaith project. 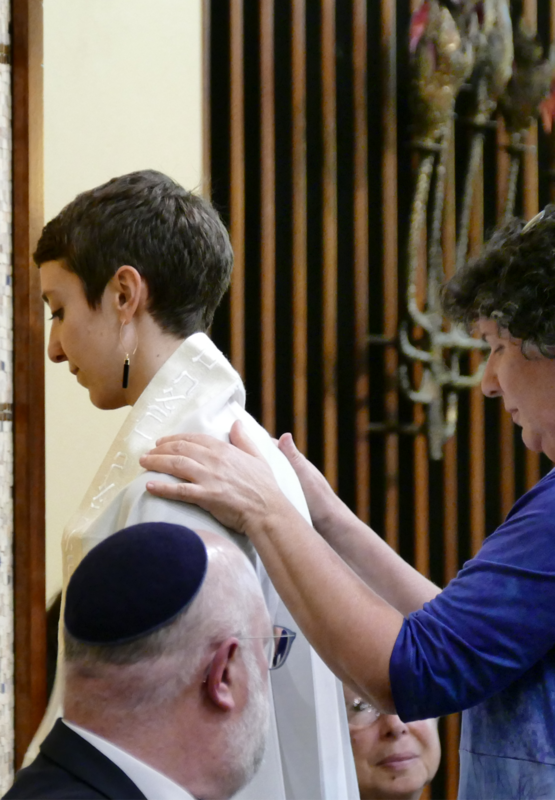 The article chronicles the development of an interfaith initiative between Marblehead ‘s Temple Sinai, led by Cohen-Henriquez, and Clifton Lutheran Church, led by Pastor Jim Bixby. The result of the collaboration is The Manna Project which is characterized by a pulpit exchange, a Harvest Festival, and a food-packing event to benefit the needy in Lynn. Parenting Through a Jewish Lens Program Coordinator Erica Streit-Kaplan’s piece “13 Lessons Learned from Parenting Through a Jewish Lens in its B’nai Mitzvah Year” appeared in the August 10, 2017 issue of eJewish Philanthropy. 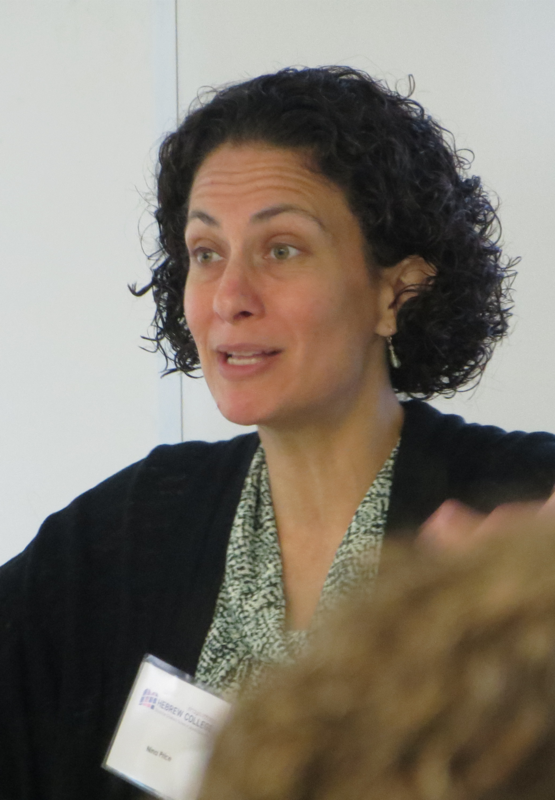 Rachel Raz, Director of the Early Childhood Institute at the Shoolman School, wrote “Jewish Early Engagement Forum One year Later: Dayenu? Is it Enough?” which was published in the August 7, 2017 issue of eJewish Philanthropy. Dr. Keren McGinity, Director of the Shoolman School’s Interfaith Families Jewish Engagement program, wrote the article “If Jews are People of the Book, Why Aren’t We Studying Intermarriage?” which was published in the June 30, 2017 issue of Lilith Magazine and the July 5, 2017 issue of eJewish Philanthropy. An article about Hebrew College’s 92nd Commencement entitled “Hebrew College Holds Commencement Exercises” was featured in the June 26, 2017 edition of The Newton Tab. Dean of the Rabbinical School Rabbi Sharon Cohen Anisfeld‘s article “Messy over Messianic” was published in the June 15, 2017 issue of Sh’ma Now: A Journal of Jewish Sensibilities hosted by The Forward. 2015 School of Jewish Music alumna Cantor Risa Wallach’s article “What’s it Like to Be a Queer Female Cantor” appeared in the June 10, 2017 issue of The Forward. Shoolman School faculty member Allison Kent’s article “Ideas in Jewish Education and Engagement” was published in the June 8, 2017 issue of The Jewish Federation of North America blog. The Jewish Advocate (paid subscription only) featured The Jewish Teen Foundation of Greater Boston in a June 2, 2017 article entitled “To learn giving, teens grant $47K.” The Jewish Teen Foundation is a year-long program for Jewish high school students from across the metro Boston area. Rabbinical School student Jevin Eagle was featured in the Boston Globe May 27, 2017 Metro section cover story, “Boardroom to bimah” about his new position as executive director of BU Hillel. Eagle and soon-to-be-alumnus Elie Lehmann were also featured in the May 27, 2017 Jewish Advocate and in a June 5, 2017 BU Today story entitled, “BU Hillel’s New Executive Director Follows his Dream.” about their new roles at BU Hillel. Additional coverage on Eagle can be read in the Needham Times, and on both Eagle and Lehmann in MA Jewish Ledger, JewishBoston.com and on Newton Patch. Rabbi Dan Judson, Rabbinical School Director of Professional Development and Placement, co-authored Connections, Cultivation and Commitment: New Insights on Voluntary Dues, published May 17, 2017 on eJewish Philanthropy. Rabbi Steven Abraham, a student in our inaugural Interfaith Jewish Families Engagement (IFJE) cohort, wrote about keeping an eye toward history while acknowledging the realities of our modern world in It’s Time to Say ‘Yes,’ published in eJewish Philanthropy on May 11, 2017. Hebrew College Rabbinical School student Ayalon Eliach was featured recently in eJewish Philanthropy. In his essay, “Bridging Generations, Building Jewish Lives” (previously published in Contact), Ayalon discusses his experience as Rabbinic Educator for DOROT’s Jewish Summer Teen Internship Program and the impact it had on its students. Barbara Merson, PhD candidate in joint Shoolman Graduate School of Jewish Education-Lesley University program was featured in eJewish Philanthropy. Barbara is the Executive Director of the Maine Jewish Film Festival and, in “Maine Jewish Film Festival Celebrates 20 Years of Community Engagement,” she shares her insights on the festival’s 20 years of success in what many would consider to be a seemingly challenging region. Dr. Keren McGinity’s blog post “Let’s Stop Romanticizing the Jewish Womb” appeared in the Spring 2017 print issue of Lilith magazine as “Interfaith Parenting: Jewish Fatherhood Needs a Makeover” (pp. 8-9). McGinity is director of the Shoolman School’s Interfaith Families Jewish Engagement Program. Rachel Raz, Director of the Early Childhood Institute at Hebrew College, had an article published on March 27, 2017 in Jeducation World entitled “Ayeka, Where are you” (Genesis 3:9). Rabbi Or Rose, Director of the Miller Center for Interreligious Learning & Leadership, and Celene Ibrahim, Islamic Studies Scholar-in-Residence, were quoted in a March 27, 2017 Boston Globe article entitled “Muslim and Jewish communities bond amid fear.” The article highlighted their work to promote greater understanding between Jews and Muslims. Jewish Studio Project Co-Founder & Creative Director Rabbi Adina Allen, Rab’14 was featured in the March 15, 2017 eJewish Philanthropy article “Open Dor Project Announces its First Cohort of Spiritual Startup Leaders/Communities.” Rabbi Allen is among the first recipients of this award. Jewish Studio Project co-founder & creative director Rabbi Adina Allen, Rab’14 article “Is, Was, Will Be” appeared in the February 12, 2017 issue of The Forward’s Sh’ma Now: A Journal of Jewish Sensibilities. Hebrew College Chief Academic Officer Rabbi Dr. Michael Shire’s article “Those Who Can…Will Teach! The Jewish Day School Teacher Re-Design 2017” appeared in the February 3, 2017 issue of eJewish Philanthropy. Cantor Louise Treitman, Adjunct Instructor of Jewish Music at the School of Jewish Music at Hebrew College, published “Off the Deep End! The Mikvah Has Left the Building'” on February 1, 2017 in the Mayyim Hayyim blog. Dr. Rabbi Michael Shire, Chief Academic Officer at Hebrew College, and Dr. Keren McGinity, Director of the Interfaith Families Jewish Engagement Program, published “Why would a Graduate School of Jewish Education Teach about Intermarriage?” in the January 30, 2017 issue of eJewish Philanthropy. Hebrew College, as a signatory on the Boston Jewish Communal Joint Statement on Immigration and Refugees, stands with Jewish Community Relations Council of Greater Boston and other Massachusetts Jewish institutions to urge our country’s administration “to open the gates of compassion to those seeking safety, regardless of their faith or country of origin.” The statement was released on January 30, 2017. View the PDF. Rabbinical School alumnus Rabbi Van Lanckton, Rab’09’s article “Fake news and Jewish Truth” was published in the January 6, 2017 edition of The Jewish Advocate. “Speaking only the truth is one of the highest Jewish ethics. The Hebrew word for ‘truth’ is emet. In Yiddish, it’s emess, as in, ‘I’m telling you, it’s the emess,'” says Rabbi Lanckton. ￼Shoolman School Adjunct Instructor Ronit Zvi-Kreger’s article “Implementing Project-Based Learning in Congregational Schools” was published in the NewCAJE journal “The Jewish Educator.” Zvi-Kreger designs and facilitates project-based learning training for the Shoolman School’s Congregational Educational Initiative (CEI) project. Rabbi Alana Alpert, Rab’14 was featured in a January 10, 2017 article in the Detroit Jewish News entitled “36 Under 36: Rabbi Alana Alpert.” An advocate for social change, Rabbi Albert works at Temple T’chiyah in Detroit as a rabbi and community organizer. Rabbinical School Rector Rabbi Arthur Green’s article “The Pull of our Inclinations: Steering Away from the Binary View of Good and Evil” was published in the December 13, 2016 issue of The Forward’s online publication Sh’ma Now: A Journal of Jewish Sensibilities. The Arthur Vining Davis Foundations (AVDF) awarded Hebrew College’s Miller Center for Interreligious Learning & Leadership a three-year $250,000 grant to develop and expand the Boston Interfaith Leadership Initiative (BILI), an innovative fellowship program for undergraduate students. The BILI fellowship, currently in its second year, trains students from eight Boston-area colleges to serve as effective interreligious leaders on their campuses and in the broader community. The year-long program brings together undergraduate fellows from Bentley University, Boston University, Brown University, Harvard University, MIT, Northeastern University, Tufts University, and Wellesley College. Rabbi Rose and his colleagues launched the BILI program in August 2017 to provide a space in which outstanding student leaders from Boston-area schools could develop interreligious leadership skills and build a network of peers and mentors. Each cohort includes religious and secular students from an array of spiritual and cultural traditions and a diversity of geographic, racial, and socio-economic backgrounds. In addition to meeting monthly to explore theological, historical, and ethical issues and engage with religious, civic, and intellectual leaders, fellows plan an interreligious retreat for undergraduate students throughout New England. This process encourages fellows to utilize the skills and knowledge that they have gained in the program to expand the population of students engaged in interreligious dialogue. About The Arthur Vining Davis Foundations: The Arthur Vining Davis Foundations (www.avdf.org) were established in 1952 by former ALCOA chairman, Arthur Vining Davis. Grounded in Arthur Vining Davis’s principled and innovative leadership in national corporate life and philanthropy, The Arthur Vining Davis Foundations strengthen America’s intellectual life, humane instincts, and democracy through philanthropic support for private higher education, public educational media, interfaith leadership and religious literacy, the environment, and palliative care. 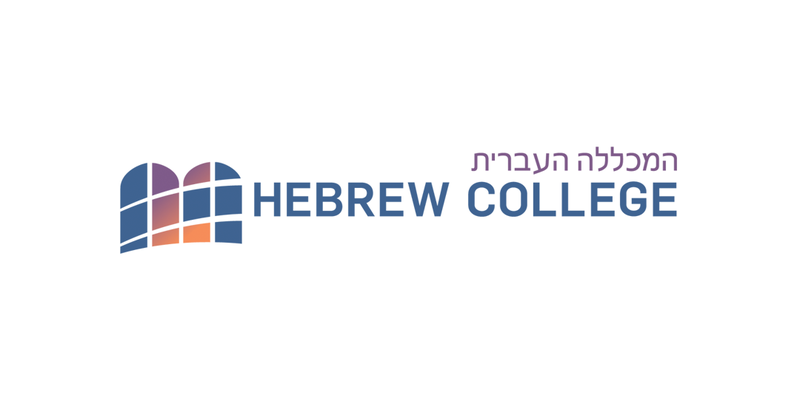 About Hebrew College: Founded in 1921, Hebrew College (www.hebrewcollege.edu) promotes excellence in Jewish learning and leadership within a pluralistic environment of open inquiry, intellectual rigor, personal engagement, and spiritual creativity. Its programs include a Rabbinical School, a School of Jewish Music, a School of Jewish Education, and graduate degrees and courses in Jewish studies; community education for adult learners; and a supplemental Hebrew high school and middle school. About The Miller Center: Hebrew College’s Miller Center for Interreligious Learning & Leadership (www.hebrewcollege.edu/millercenter) provides current and future religious and ethical leaders with the knowledge and skills to serve in a religiously diverse society. The Center’s work is rooted in the cultivation of authentic personal and institutional relationships across lines of difference. It is our conviction that through study, dialogue, and joint action, we can help create a more just, compassionate, and sustainable world. NEWTON, MA, January 23, 2019 – Hebrew College (www.hebrewcollege.edu) has announced a new dual degree program with the Pardes Institute of Jewish Studies (www.pardes.org.il) in Jerusalem that will train outstanding future rabbis and educators who are passionate about day school education and leadership. Set to launch in fall 2019, the six-year program will include a two-year teacher training program in Jerusalem, where students will study in the Pardes Day School Educators Program, followed by four years in Greater Boston at Hebrew College’s Rabbinical School. NEWTON CENTRE, MASSACHUSETTS, January 3, 2018— Hebrew College today announced that Rabbi Dan Judson, PhD, core faculty member and Associate Dean of Placement and Professional Development of the Rabbinical School, has been chosen to serve as the next Dean of the Rabbinical School. Rabbi Judson has been on the faculty for the past 10 years, and previously served as a congregational rabbi. He will succeed Rabbi Sharon Cohen Anisfeld, who the Board of Trustees selected late last year to serve as the next President of Hebrew College following a national search. 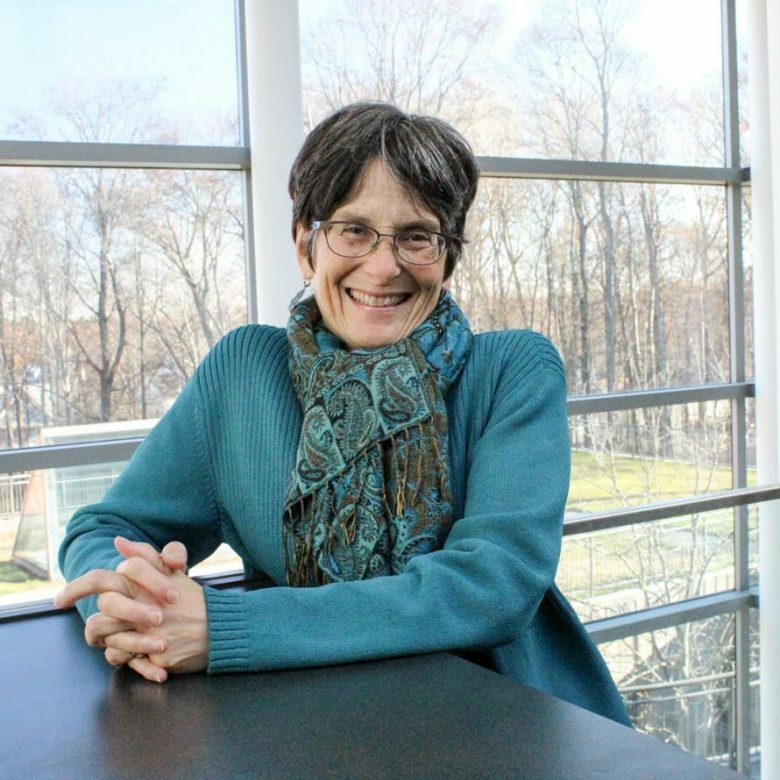 NEWTON CENTRE, MASSACHUSETTS, November 29, 2017 — Successfully concluding a national search, the Hebrew College Board of Trustees yesterday voted to select Rabbi Sharon Cohen Anisfeld, current Dean of the Rabbinical School, to serve as the next President of Hebrew College. NEWTON CENTRE, MASSACHUSETTS, August 16, 2017 — Hebrew College’s Miller Center for Interreligious Learning & Leadership and Boston University School of Theology are pleased to announce that the Henry Luce Foundation has awarded a two-year grant to support the Journal of Interreligious Studies and related projects jointly published and coordinated by the two schools. NEWTON CENTRE, MASSACHUSETTS, July 11, 2017 — Rabbi Daniel L. Lehmann, under whose stewardship Hebrew College has set the standard for Jewish learning and leadership for a pluralistic world, announced to the Hebrew College community today that he would step down from his position as president during the next academic year. 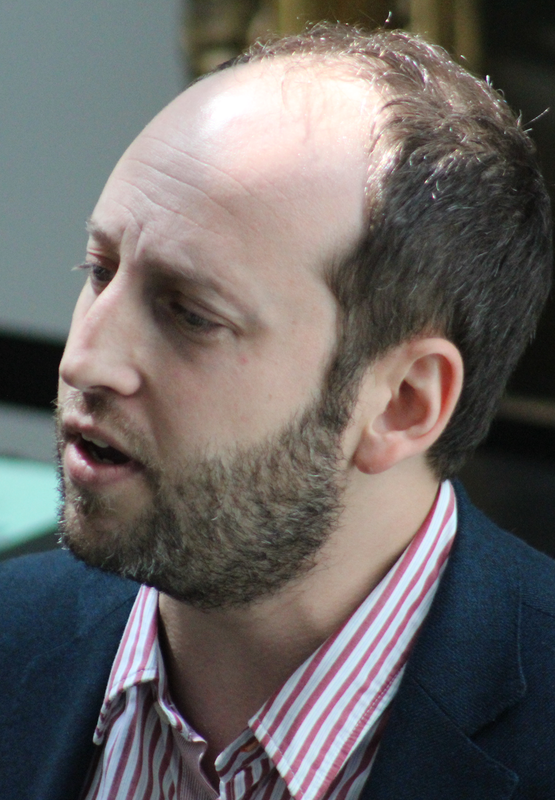 NEWTON CENTRE, MASSACHUSETTS, April 21, 2017 — Jevin Eagle, a former business executive and current Hebrew College Rabbinical School student, will leverage his entrepreneurial talent, spiritual depth and passion for Hillel’s mission as he becomes the next executive director of Boston University Hillel, among the largest private university undergraduate Hillels in the country. Also taking a leadership role at BU Hillel will be Elie Lehmann (Rab ’17), a Wexner Graduate Fellow and Hillel International Rabbinical Entrepreneurs Fellow, who will serve as campus rabbi. NEWTON CENTRE and BOSTON, MASSACHUSETTS, December 13, 2016. The Miller Center for Interreligious Learning and Leadership at Hebrew College hosted a unique colloquium on the training of rabbis for service in a multi-religious society. This gathering brought together 15 outstanding educators, scholars, and clergy from eight different seminaries and related organizations to share best practices and challenges in interreligious education. The participants explored what knowledge, skills, and experiences rabbis need to possess in order to be effective bridge-builders across faith and cultural lines. NEWTON CENTRE and BOSTON, MASSACHUSETTS, November 2, 2016. Hebrew College (HC) and the Boston University School of Theology (BUSTH) have announced a new partnership that includes joint interreligious publications, academic courses, and public events. This partnership of two major centers for the training of religious leaders—one Jewish and one Christian—represents an important opportunity to advance the field of interreligious education and leadership development. Hebrew College’s Marketing team works to raise awareness about Hebrew College by featuring people, events and news within our vibrant community. Our staff members work with the press to communicate news about faculty and student research and achievements and college programs and events, as well as to provide information about and arrange interviews with students, administrators, and faculty expert. The team also works with students, faculty members, and administrators who need assistance pitching a story or preparing for an interview. Hebrew College’s Marketing team is available to assist journalists seeking information about Hebrew College; to connect journalists with academic experts; and to help journalists interested in featuring a Hebrew College student or faculty member. Please reach out to Sydney Gross, Communications and Media Relations Specialist, at 617-559-8785 or SGross@HebrewCollege.edu. If you have a suggestion for a story about Hebrew College students, faculty, alumni, projects, or events that would interest external media, please reach out to Sydney Gross, Communications and Media Relations Specialist, at 617-559-8785 or SGross@HebrewCollege.edu. The Hebrew College press kit is a resource for members of the media looking for information about the College. For more information, please contact Sydney Gross, Communications and Media Relations Specialist, at 617-559-8785 or SGross@HebrewCollege.edu. 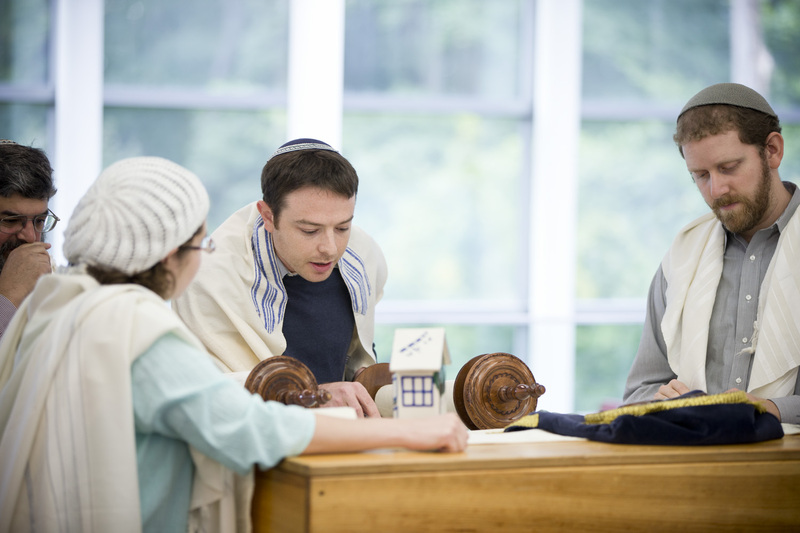 Founded in 1921, Hebrew College promotes excellence in Jewish learning and leadership within a pluralistic environment of open inquiry, intellectual rigor, personal engagement, and spiritual creativity. It offers graduate programs for rabbis, cantors, and Jewish educators, and community learning programs for youth and adults. For more information, visit hebrewcollege.edu. 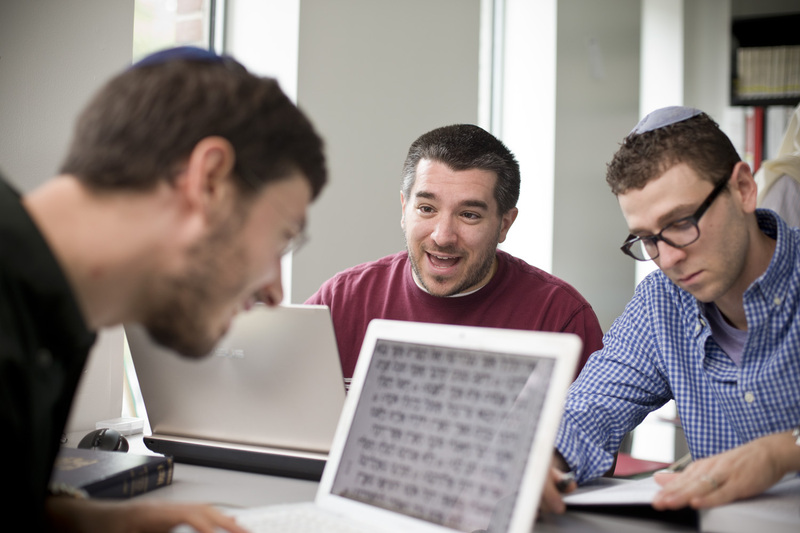 Hebrew College’s faculty experts are available to provide commentary on Jewish history and contemporary events, as well as Jewish texts and traditions. Learn more about our faculty here. Need help finding an expert? Call us at 617-559-8785l. 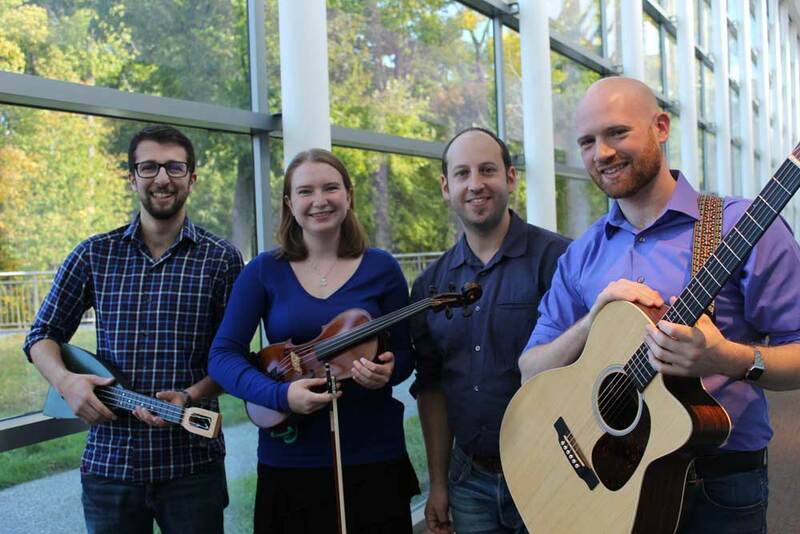 Read Hebrew College’s weekly e-newsletter, News & Views. Not a subscriber? Sign up here. Hebrew College shared a post. We are pleased to announce that leah goldstein, director of Hebrew College's Jewish Teen Foundation of Greater Boston (JTFGB), will receive the Esther Award for Leadership & Philanthropy at our annual spring fundraiser Hebrew College Live! Stories in Honor of Our Teachers. This full-language program uses the linguistic-immersion method developed in Israel. It teaches grammar, reading comprehension & conversation skills.